"The exact specs of R32 N1s are very hard to lock down with 100% confidence. 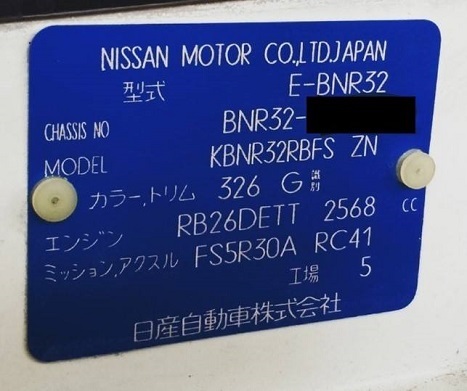 There is almost no real Nissan data or marketing information for them. Within our Nissan Skyline GTR N1 Owners club, we have thoroughly compared all of our cars to try and come to some kind of worthwhile conclusions based on everything that our actual cars have. The changes from standard BNR32 GTRs that we can 100% confirm are as follows. - N1 Engine (NOT STAMPED 24U for R32s). - Non cross drilled brake rotors. 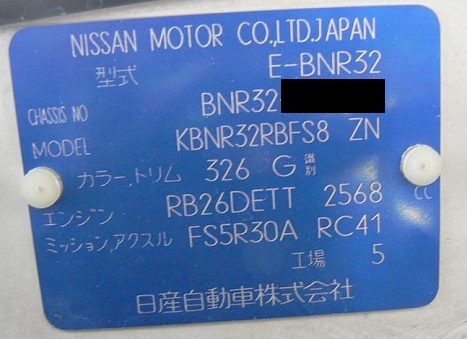 It is a very common misconception that R32 N1s had 24U engines. We believe this to be wrong. We believe that instead they most likely had hand built and balance engines. The exact details are not really known. 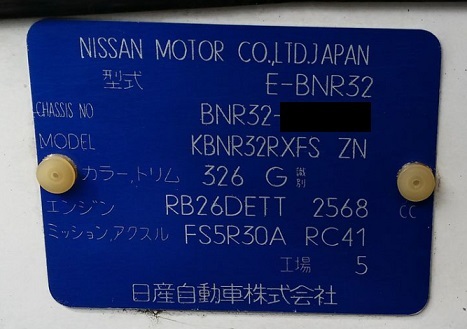 Whether or not R32s had N1 oil pumps or water pumps is also questionable. Another widely accepted fact that is completely incorrect, are 'N1' body kits. There really is no such thing as an N1 body kit. Nissan used the R32 Nismo to homologate aero modifications for Group A racing. Nismos had bonnet lips, bumper vents, 3 piece side skirts and back boot lips. N1s came standard with Nismo Bumper vents and Nismo bonnet lips. However, N1s did not come as standard with Nismo 3 piece side skirts or back boot lips. They should not be referred to as N1, they are Nismo options. However, in saying all of that, quite a few N1s were optioned with the Nismo 3 piece side skirts and the Nismo back boot lips." VIN plates provided by Terry Tung-Yep, Lucas Davidson and Raki Fife.